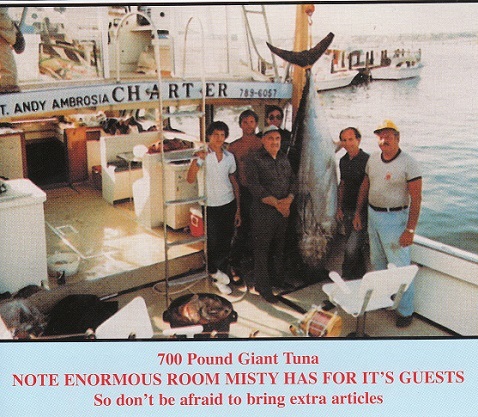 Rhode Island Charter Boat Misty is the longest operating and most successful Charter Boat in R.I. No. 1. Sailing from the port of Galilee, in Narragansett, R.I., the charter boat Misty offers customers 43' of sport fishing comfort and safety. 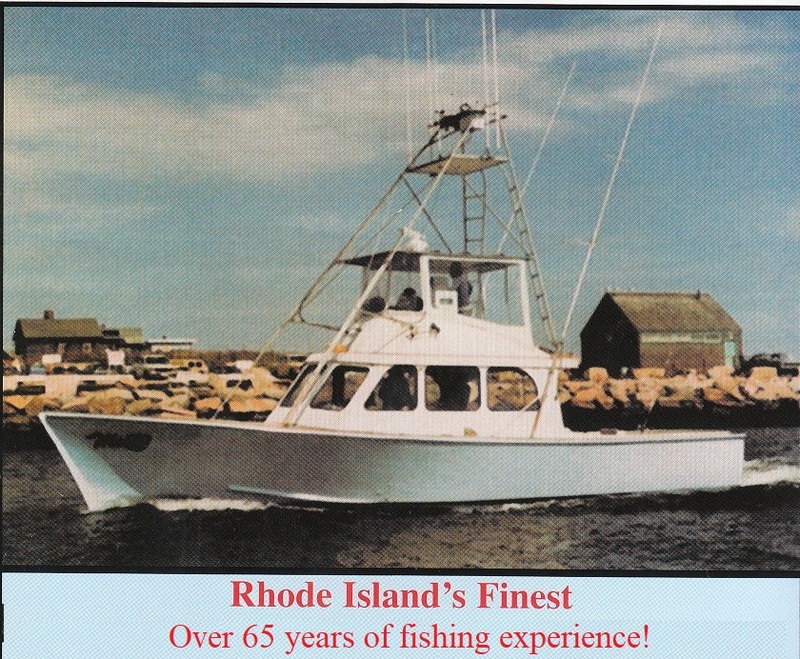 Three generations and 57 years experience in the fishing industry is our greatest asset. 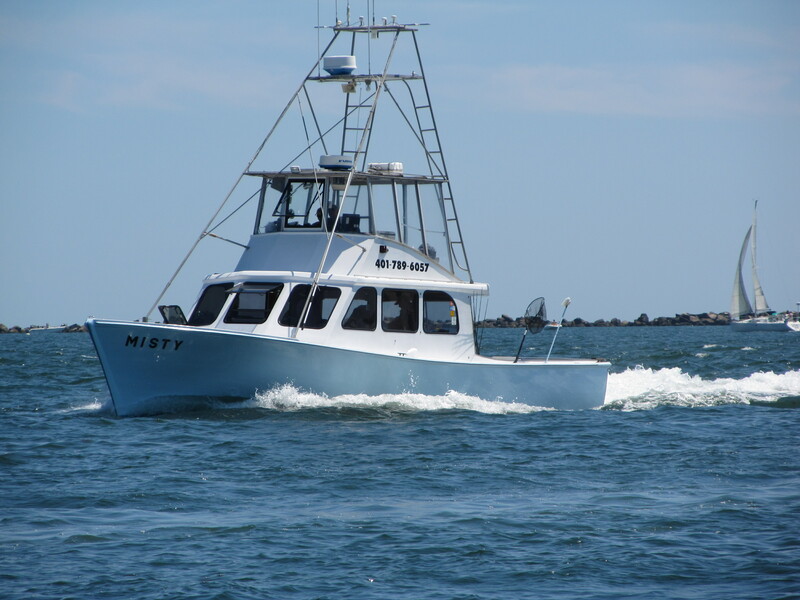 The Misty is equipped with the latest in fishing gear and technology. Full day, half day and evening charters are available for up to six passengers. Completely satisfied customers are our top priority. We make our sole living from the charter boat business. Our expertise guarantees satisfaction on your next fishing trip. We invite you to test us. 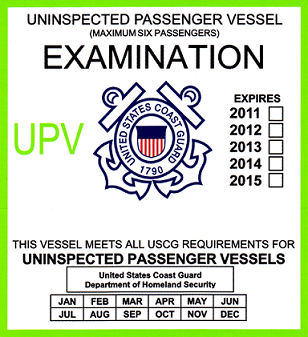 U.S Coast Guard examined vessel. Your safety is our number 1 priority! 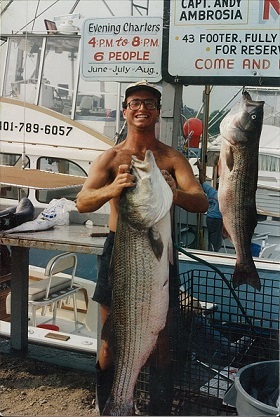 Charter Fishing Rhode Island aboard "Misty"